The fourth annual “Pink the Rink” Breast Cancer Awareness Night presented by Gilda’s Club Rochester is set to take place on Saturday, April 7 when the Rochester Americans host the Toronto Marlies at 7:05 p.m. at The Blue Cross Arena. A portion of the proceeds from the game will be donated to Gilda’s Club Rochester, a nonprofit organization committed to providing free networking and support groups, workshops, education and social activities for men, women teens and kids affected by cancer. As part of the annual Pink the Rink game, the Amerks will wear special-edition pink jerseys to promote breast cancer awareness. Fans will have the opportunity to purchase these jerseys through a silent auction held during the game on The Blue Cross Arena concourse. Following the game, the winners of the auction will be able to take the ice and be presented with a “jersey off the back” from the Amerks players. Pink the Rink T-Shirt packages are on sale now. For just $30, fans can purchase a specialty pink Amerks T-shirt and one best-available ticket, with $2 from each package sold going to the game’s overall fundraising effort. The packages can be purchased online at www.amerks.com/pinktherink, in person at the Amerks office, or by phone at 1-855-GO-AMERKS. In addition to the jersey auction and pink T-shirt packages, the Amerks will be selling a limited number of special Pink the Rink-themed Mystery Pucks, autographed by various Amerks players, for $10 on the main concourse during the game. 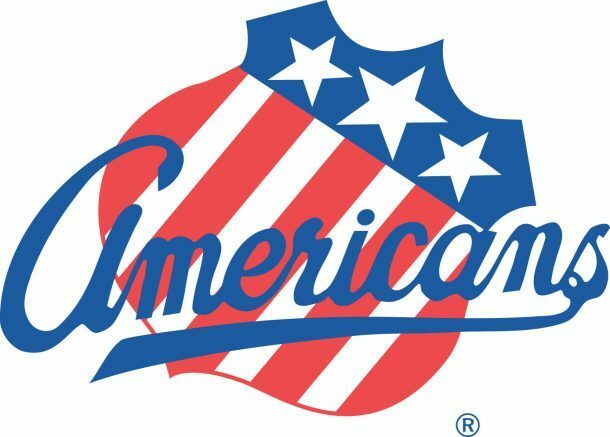 Be the first to comment on "Rochester Americans to partner with Gilda’s Club for Pink the Rink Night"